For those families or friends heading to one of the Disney theme parks in Anaheim, California or Orlando, Florida to visit with Cinderella, Mickey Mouse or anyone of their friends, the price of admission has just gone up. Experiencing the magic of Disney’s parks will take a bigger bite out of the wallets of those wanting to attend. Officials at Disney have announced that starting Sunday a one-day ticket to the Magic Kingdom in Orlando would increase from $89 to $95. The price for the same pass at Disneyland in California was increased to $92 from $87. Disney spokesperson Bryan Malenius said like all other businesses Disney makes its evaluations and adjustments to its pricing based up many different factors. Malenius mentioned that tickets to the Disney Theme Parks held a great value because of the experience theme park goers receive when attending one of their parks. Prices for multi-day passes have also increased and now a pass for four days to the different parks cost $279 or $69.75 per day. Disney posted its updated price schedule on its different websites. Disney officials said the vast majority of park visitors purchase multi-day tickets. Not all park visitors were pleased. One family member of a family of four complained she paid $400 to enter for one day and spent most of the day staying in line waiting to ride on the many attractions at the park. 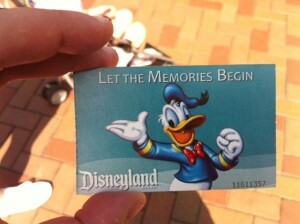 Disney raised its ticket prices the last time as recently as 2012.